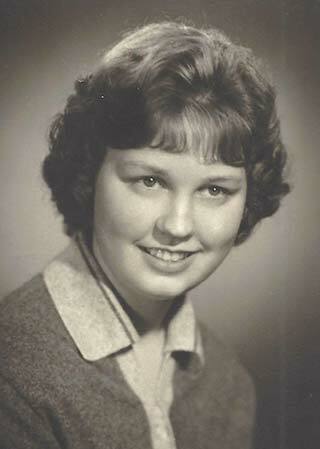 Carol was born December 21, 1942, to Mike (Sr.) and Lula Mae Lash in Aberdeen, WA. She married the love of her life, William H. Elder, on June 10, 1961, in Neilton, Washington. Bill and Carol then made their home in Quinault, WA where they raised their family. They retired to Sisters in 1995. Carol was an avid quilter and loved all of the quilting groups she was involved in. Carol was preceded in death by her parents, Mike (Sr.) and Lula Mae Lash; her brothers Mike Lash, Jr., and Billie Lash of Hoquiam, Washington. Carol is survived by her husband of 57-1/2 years, William Elder; her daughter, Sarah Elder; and adopted son, Kaiden; grandsons, Casey Elder of Quinault, Washington, and James Mullins of Brady, Washington; two great-grandchildren; and numerous nieces and nephews. A private service and Celebration of Life will be held in Quinault, Washington, at a later date when the weather is better. Memorial contributions may be made to the American Cancer Society and/or Hero Quilters of Sisters.